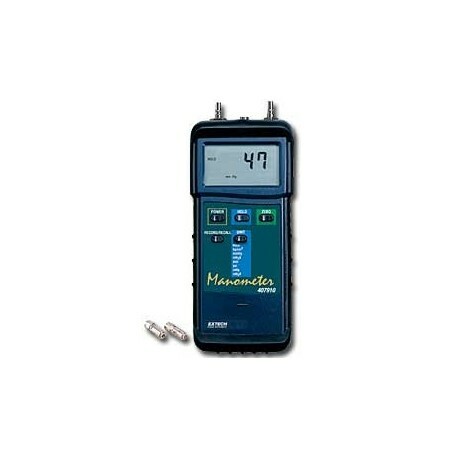 This digital HEAVY DUTY MANOMETER has a differential input with convenient quick-disconnect fittings. Eight units of measure are selectable by front panel pushbutton. Advanced features include Data hold, MAX/MIN recording, and RS-232 PC interface. Properly used, this device will provide years of reliable service. Additional specifications available on the product datasheet.